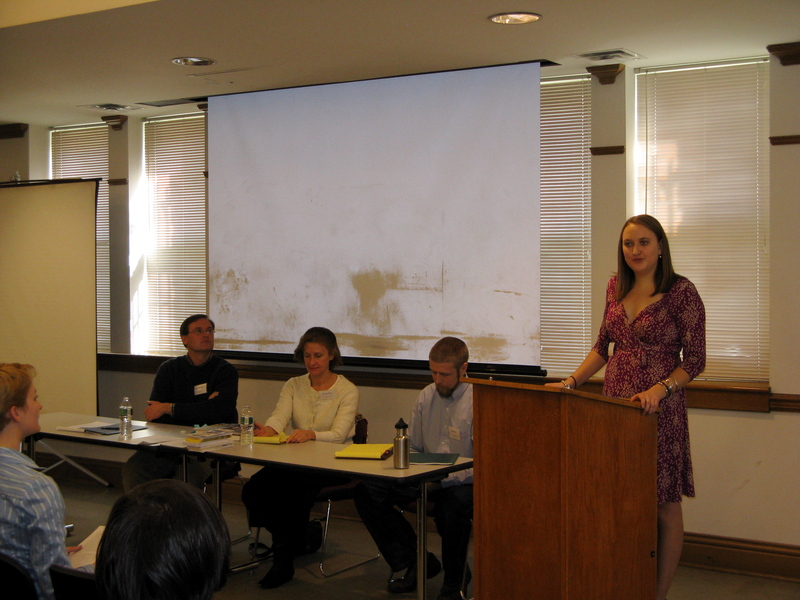 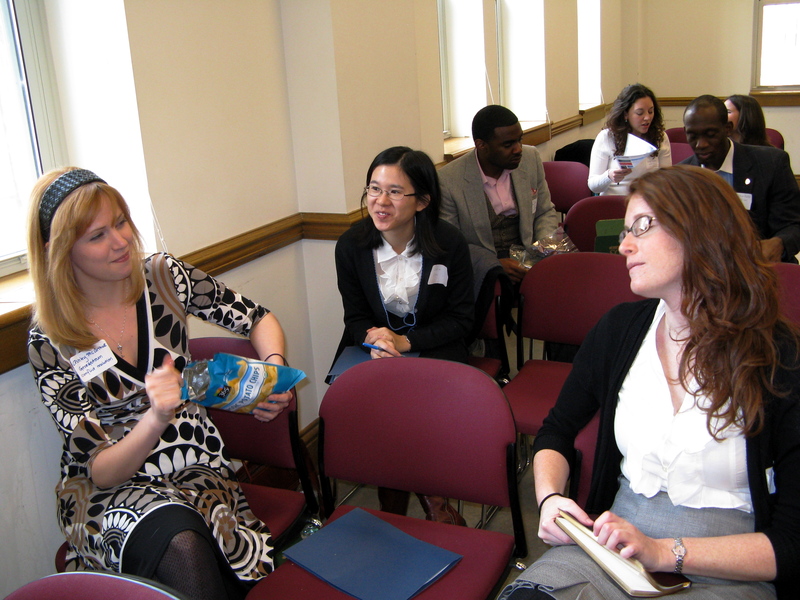 Mallory welcomes students to the 2010 ISLC as the Innovative Applications of Conflict Resolution Panel looks on. 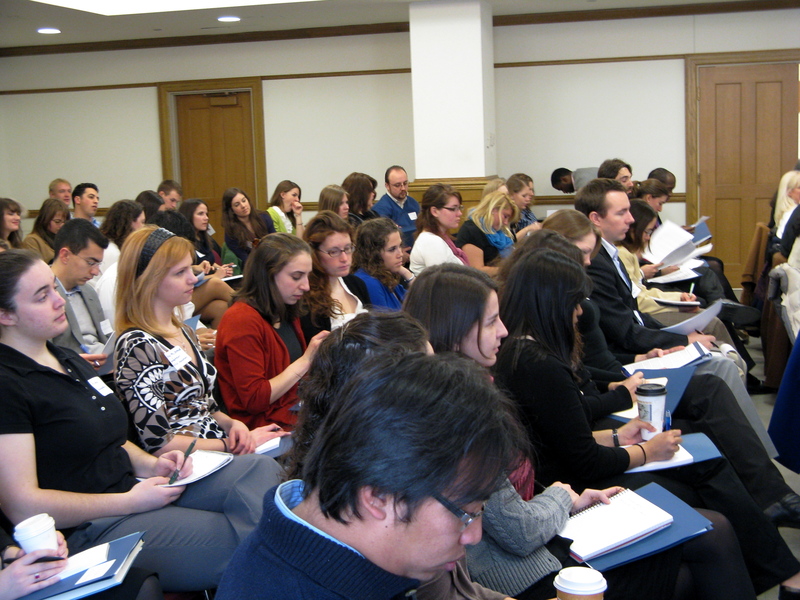 The crowd listens to the opening panel. 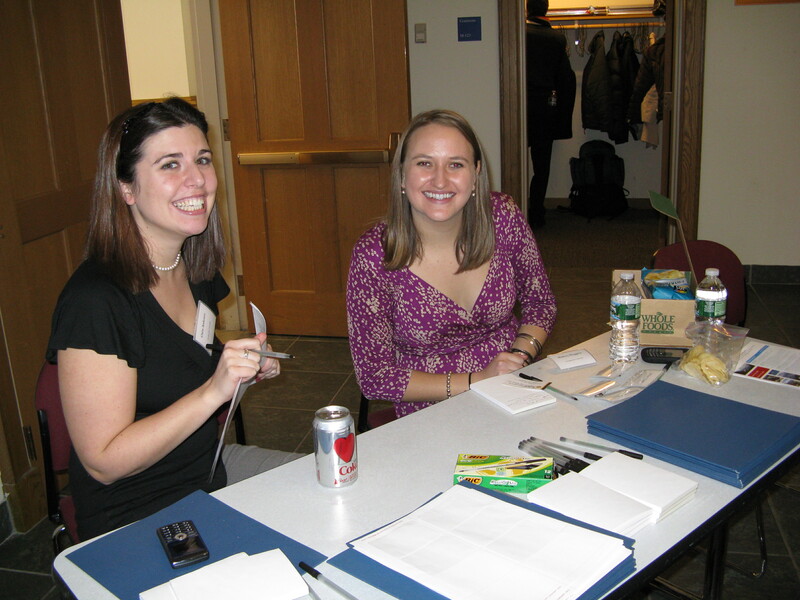 Claire and Mallory man the check-in table. 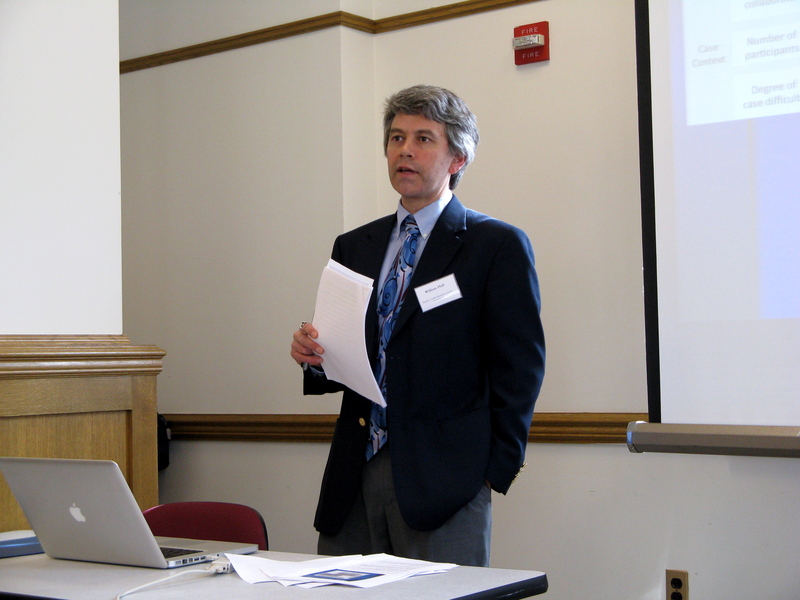 James Lee presents at the Environment and Conflict Resolution Session. 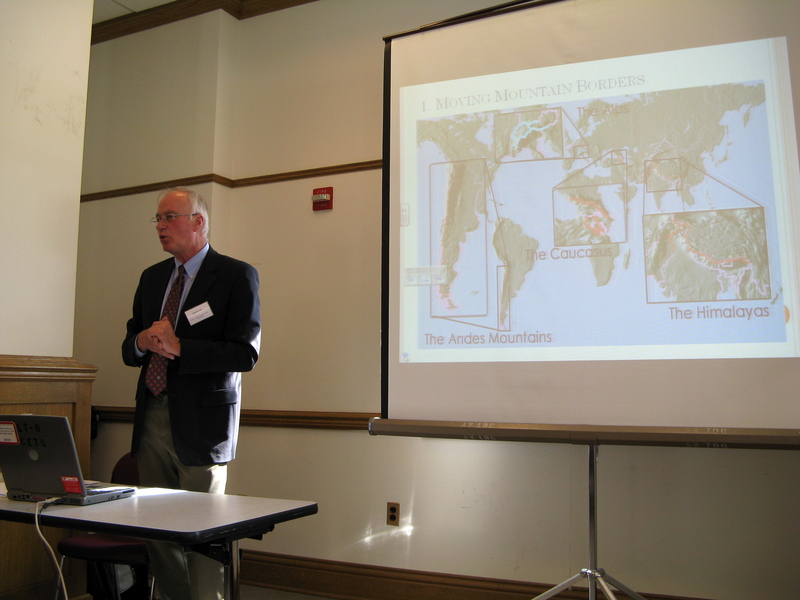 William Hall presents at the Environment and Conflict Resolution Session.